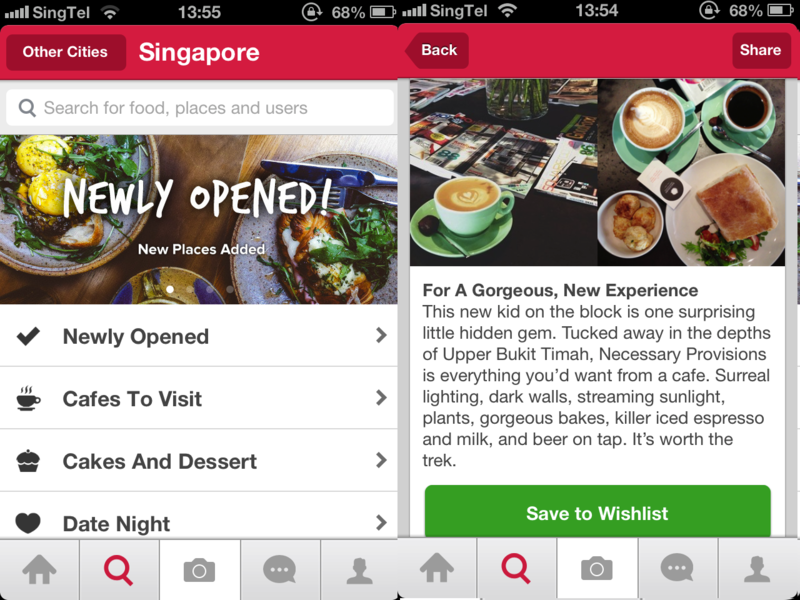 Singapore-based startup Burpple has moved beyond being only a food-themed photo sharing app, as it launched food guides today to help its users discover places to visit. The latest feature, which is available via an update on Burpple’s app, introduces self-produced content in the form of editorial. The app crowdsources hyper-local knowledge from its users (via the photos being uploaded), and Burpple writers then point readers toward places according to various themes such as ‘Cafes to Visit’ and ‘Cheap and Good under $10’. Users can save any place being recommended to their ‘Wishlist’. Burpple’s Social Food Guides is now live in its first 8 cities — Bangkok, Hong Kong, Jakarta, Kuala Lumpur, Malacca, Manila, Singapore and Taipei.